Summer is the perfect time for Tribes to re-evaluate life goals and get up to speed with all the fun stuff they’ve missed out on during the year. While they look forward to catching up with friends, it’s also a good time to travel and prepare themselves for the future as they brush up their CVs and find the means to fund student living (and pay off loans)! Although school and university is closed for summer, some Tribes are still studying to stay on track and ensure they achieve the grades they want. 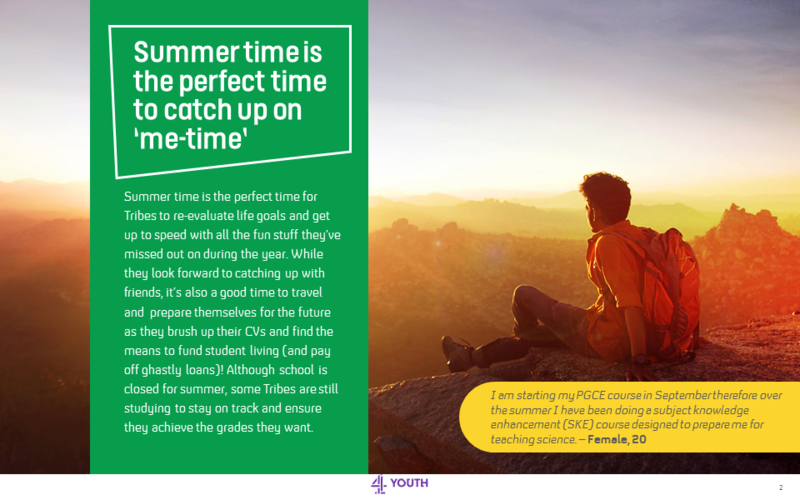 That said our Tribes do still prioritise having fun with their friends, and making the most of the summer months as a time to relax and spend time with their loved ones. Over the first three weeks of August we spoke to a group of 75 of our Tribes about what they’re getting up to over the long summer months this year. 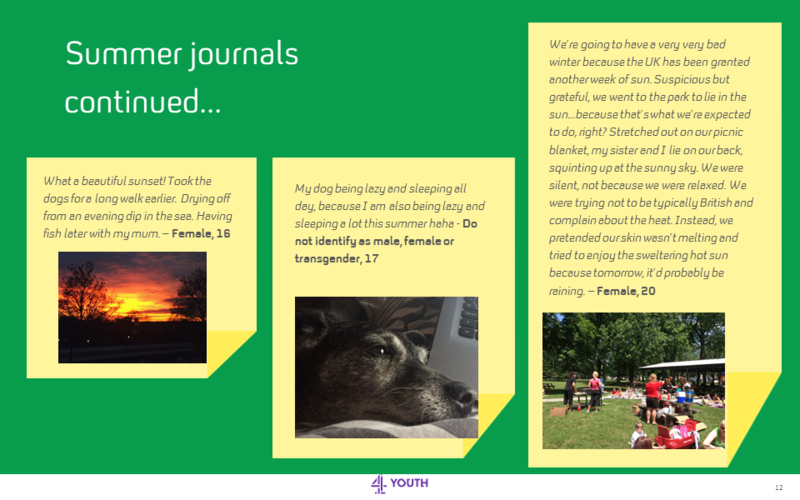 We asked our Tribes to write a journal entry describing their typical summer day. Most made reference to their simple summer highlights, such as watching sunsets, nature, good food, special moments with friends and family, and just enjoying having the extra time to relax and laze about. 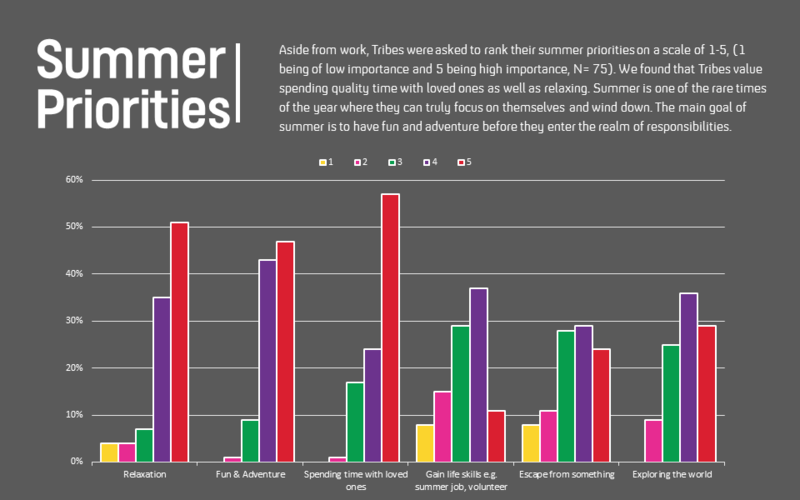 We asked our Tribes to rank their summer priorities on a scale of 1-5, (1 being of low importance and 5 being high importance). We found that a top priority for our Tribes this summer is spending quality time with loved ones as well as relaxing. Summer is one of the rare times of the year where they can truly focus on themselves and wind down. The main goal of their summer is filling their time with fun and adventures before they enter back into the realm of responsibilities. 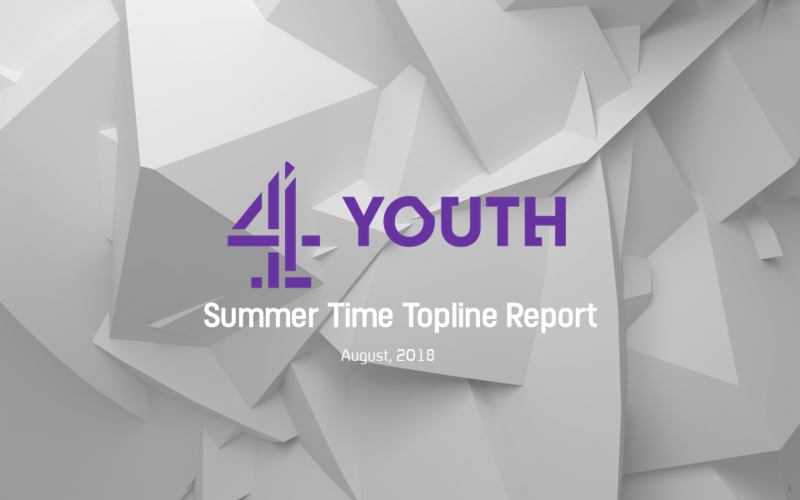 Summer is an exciting time for our Tribes, with over half of our 75 respondents going away on summer holidays this year. Our Tribes relish the chance to go on holiday with friends or partners, either to celebrate the end of studies, or just to enjoy the taste of freedom and go off on an adventure. Holidays with the family are also favoured by Tribes who want to spend quality time with loved ones recuperating on a city trip or long vacation. In our ever-globalising world, Tribes are taking advantage of more opportunities to visit family and friends who live abroad as increasing connections allows them to explore different parts of the world more easily. Over the summer our Tribes are travelling to destinations all over the world on holiday with their friends and family. Most of our Tribes are enjoying what Europe has to offer, mainly soaking up the sun in Spain and Greece. Whilst a lucky few are venturing further afield to places in USA or Asia. Others are making the most of an uncharacteristically warm British summer by going on trips to the seaside or a variety of local festivals. 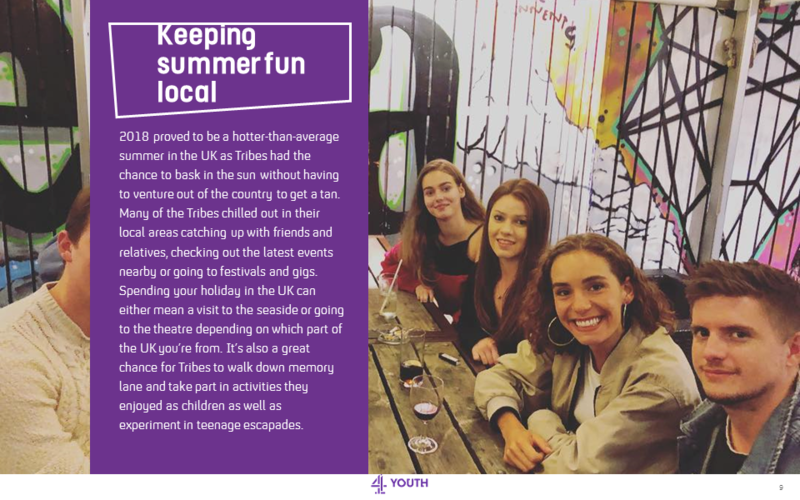 Given the UK’s hotter-than-average summer, many of our Tribes have been spending their time chilling out in their local areas catching up with friends and relatives, checking out the latest events nearby or going to festivals and gigs. Spending your holiday in the UK can either mean a visit to the seaside or going to the theatre depending on which part of the UK you’re from. It’s also a great chance for Tribes to walk down memory lane and take part in activities they enjoyed as children as well. Local summer fun also involved spontaneous activities where a minority of members got involved in TV auditions or jumped on stage. 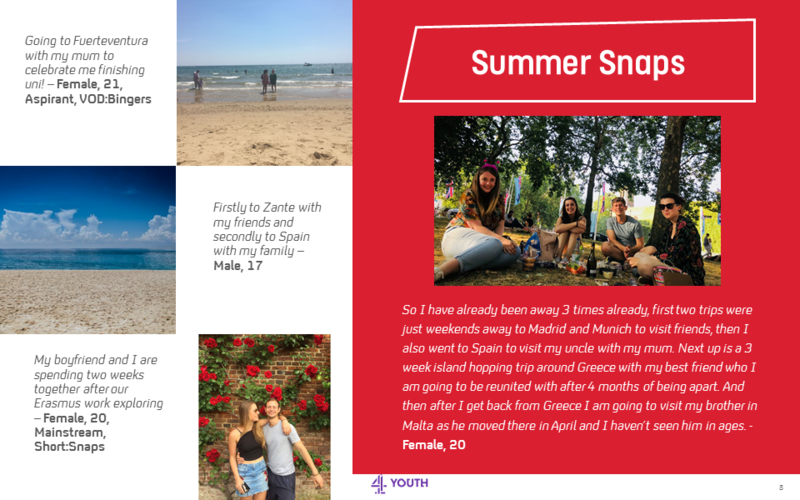 They enjoyed doing something new with friends as it gave them something to look back on; food festivals, a trip to Pride, having fun on a boat or a going to a political march! As long as they were making memories, that’s all that really mattered. 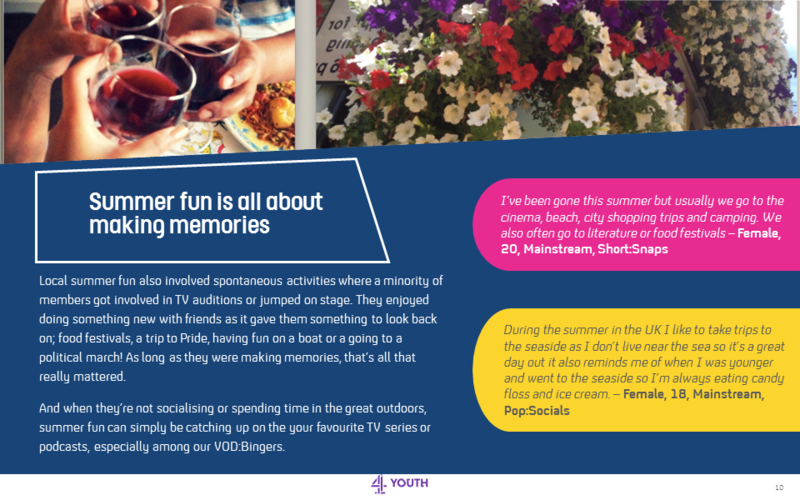 And when they’re not socialising or spending time in the great outdoors, summer fun can simply be catching up on the your favourite TV series or podcasts, especially among our VOD:Bingers. 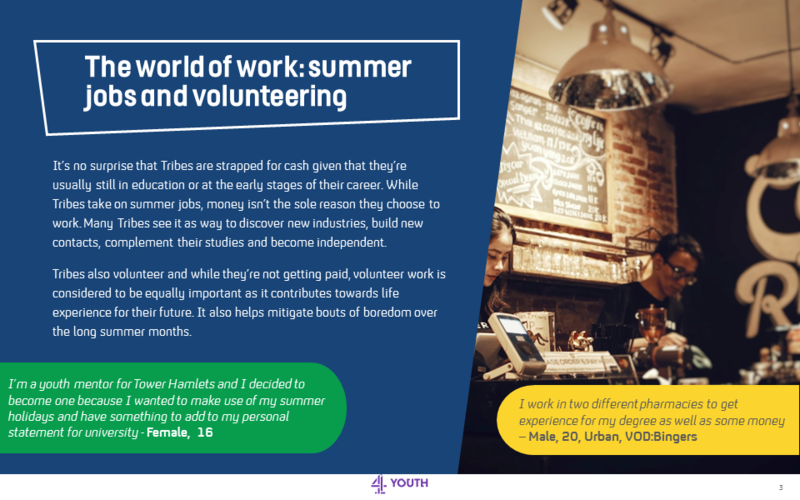 Of the 75 Tribes we had take part in this task, 43% said they have a summer job, predominantly working flexibly within the hospitality or retail industries. The main motivation for these Tribes is to earn some money, which is no surprise given that many of them are still in education or at the early stages of their career. However, money isn’t the sole reason they choose to work. Many Tribes see it as way to discover new industries, build new contacts, complement their studies and become independent. 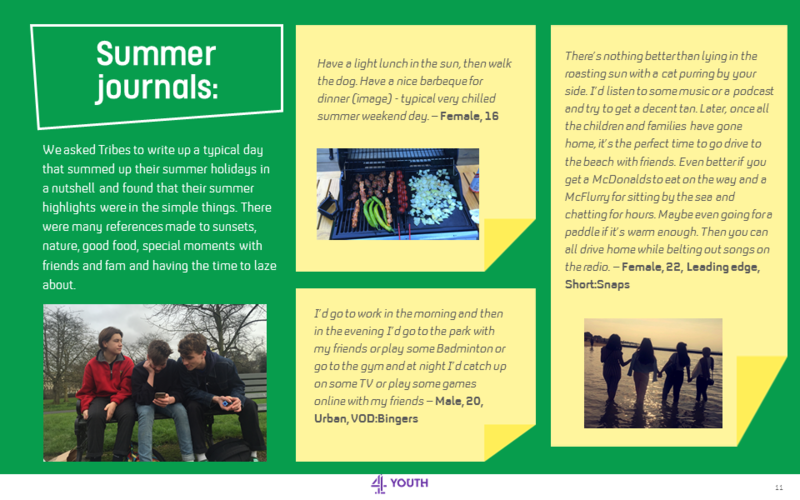 They view these experiences as providing valuable additions to their personal statements and CVs, whilst also helping them curb the boredom of a long summer. Being financially savvy has become a crucial survival skill among this generation as they seek ways to finance their trips and be in a secure position to fund their education. The cuts made to student living means that Tribes have to be more conscious of how they spend their allowances and would rather alleviate any potential anxiety before the start of a new term. A new survey from Save The Student suggests that 78% of students are concerned about making ends meet as their maintenance loan is not enough to get them through student living. 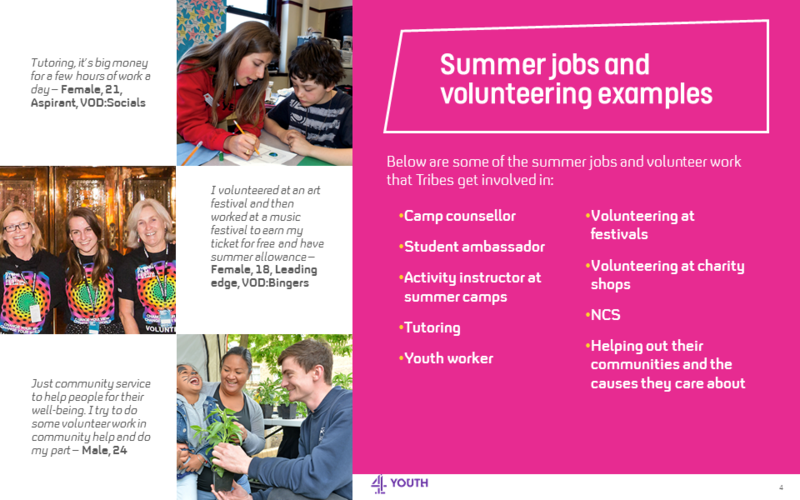 Nearly 30% of our Tribes also spend their time volunteering over the summer. Despite not getting paid they consider this work to be equally important in building their life experiences and contributing positively towards their future. These Tribes speak of the importance of giving something back to the community, and enjoy spending their free time helping a cause that is close to their hearts. 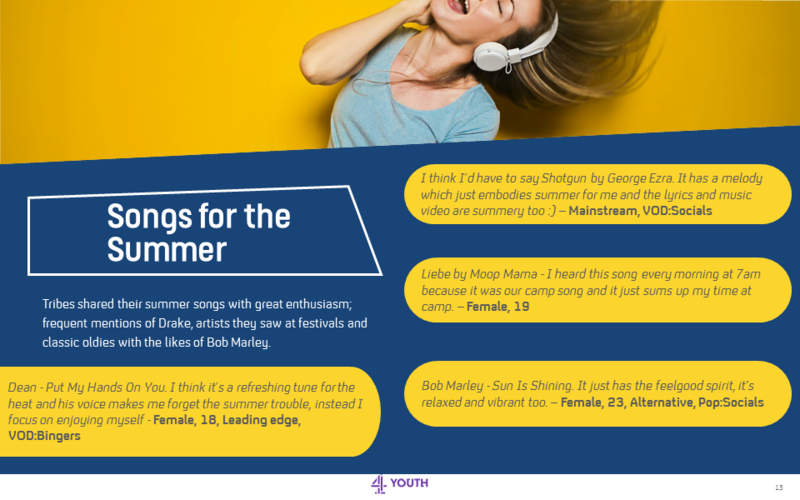 Tribes shared their summer songs with great enthusiasm; frequent mentions of Drake, artists they saw at festivals and classic oldies with the likes of Bob Marley.